Jeanne Dreifus could have led a comfortable life of home, children, and community board memberships, but she chose to be more – a lot more. Twenty years ago, she brought the seed of an idea to the University of Memphis (formerly Memphis State University) for a youth agency to divert kids from the juvenile justice system. From its concentration on youth, the Human Services Co-Op soon included agencies for all ages. Out of the linkages that developed among the various agencies grew a number of grassroots community organizations such as the Council on Aging. Throughout the last 20 years, countless collaborations and training events have benefited our community as a result of the Human Services Co-Op. Jeanne was also one of the founding mothers of Women of Achievement and she served two years as its president. She has served on the Mayor’s Community Relations Commission, the Free the Children think tank, and Goals for Memphis, just to name a few. She continues to work to make her community a better place with her involvement with Aloysius Home, Inc., a residence for persons with AIDS. But she is probably best known as “The Hippy Lady.” An organization that began in 1969, the acronym stands for The Home Instruction Program for Pre-School Youngsters. The program began in Israel, but today HIPPY can be found in 11 countries and 30 states, helping mothers prepare their children for school. Jeanne received the University of Memphis’ Dr. Martin Luther King Jr. Human Rights Award for her work in improving human relations at the university. And she was also honored with the prestigious Hannah G. Solomon Award from the Memphis Section of the National Council of Jewish Women. This award is given to a person making an outstanding contribution to the council and the community. In addition to her community involvement and being a grandmother to five grandchildren, Jeanne still finds time to interview students each year for entrance to Harvard/Radcliffe College. 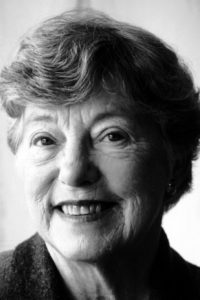 She is an alumna of Radcliffe and was elected alumni trustee from 1981–1985. Jeanne received a 2001 Humanitarian Award from the National Conference for Community and Justice.